Saree is the most authentic traditional Indian wear. Saree has always been and will be the most fashionable attire for Indian Women. I think choosing the perfect saree is quite tricky so sharing few tips on How to choose the perfect saree for your body type. Apple Shaped: Women who are heavy around bust and Waist. What works Best : Saree with beautiful embroidery or thread work. Blouses with longer length covering your waist. Soft Silk Saree with contrasting blouses. Always wear the saree at your navel or higher. What doesn't work: Net saree and Thick silk saree. Pear Shaped: Women with lighter upper body and heavy from below the waist/lower body. What works Best : Create a Balance by wearing chiffon or georgette saree. Bold and Bright colors suit you well. Small prints, small embroidery and small borders preferred. Try wearing saree below the navel. What doesn't work: Stiff cotton saree. Hour glass: Women with bust and hips with almost equal size and narrow waist. What works Best : Dark colors work well. Net, chiffon, transparent light weight sarees. Medium size prints look good. Blouses can be of shorter length, show off your waist. I will follow that advice. Thanks! Lovely post Ananya! Must read for all Indian Women! I wold say that I have more of a pear shaped body. Thanks for tips on which type of sari would work best. I'm more of a pear and I think your tips are really helpful! Where is your favorite place to shop for sarees online? Being a guy, I can just appreciate the sari and how beautiful women appear in them! 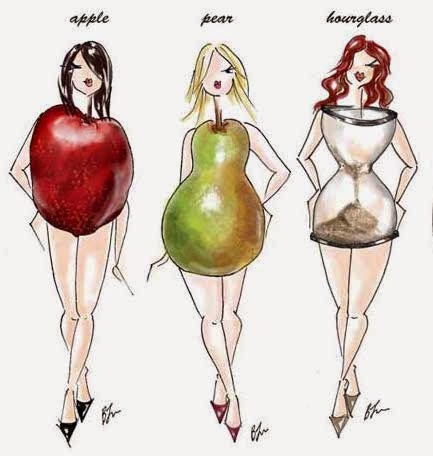 Hmm, I am pear shaped.. and I prefer georgettes anyway, so yay!